Writing a purpose statement before you begin to write your memoir, autobiography, or personal history will help focus and guide your efforts. You rarely walk out the door, get in your car, and just drive without knowing why (unless you're driving a 1963 Aston Martin Db5, and then, well, just because.) You usually have someplace to go--a reason for the trip, and a destination. It's the same with your life stories. You need to think about where you want to end up. What do you want your story to do? What do you want to accomplish with it? Answering a few questions before you start this journey can not only smooth a shorten your path to a finished masterpiece, it can prevent you from losing your wallet, your wife, and the rest of your hair along the way. "Begin with the end in mind" and save yourself a lot of time, money, and frustration. Don't just think about it: write it down. You can change it or refine it as you go along, but having your purpose written down will cement it in your mind and give you a valuable reference point. Put your written statement somewhere you can see it each time you begin to work on your life story project. What if I don't know yet? Maybe you're not quite sure yet what your purpose is in writing your life story; you just know that you must do it. That's okay. Start by brainstorming all the reasons why you might want to write. Write them down too. Once you have identified your deepest desires, craft a statement that includes everything you'd like to accomplish in the writing of it. You don't have to choose only one reason. Most of us have multiple motivation for undertaking such a task. Perhaps you want feel an obligation to impart wisdom to your grandchildren, but you also want to see your own life from a different perspective to shed light on your future. Write it down. What's your purpose for writing your life stories? 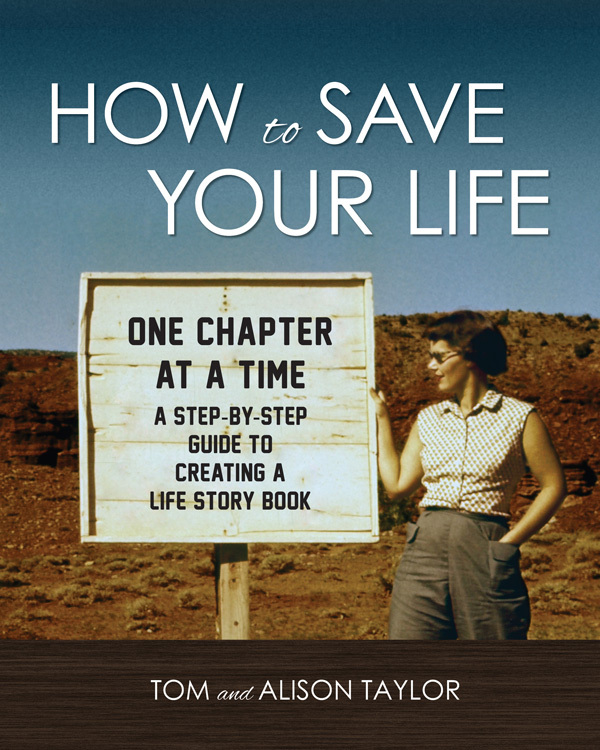 See more steps for writing your life stories in our book How to Save Your Life, One Chapter at a Time.